Before researching this trip, we knew nothing about Arizona wines; did not even know people could and were growing grapes. But grapes seem to especially like the parts of Arizona’s high desert weather conditions, referred to as the Diurnal Effect — the huge swing in temperatures between day and night. They also seem to like the volcanic soil found near Willcox, where the vast majority of Arizona grapes are grown. Wineries are big business — and growing like weeds in Arizona — doubling in the last five years to more than 100 certified wineries. Back in 2003, there were only five. 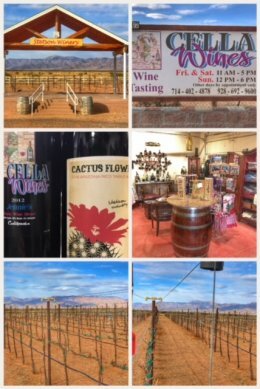 We visited all three Arizona Wine Trails: The Sonoita and Willcox Trails in southeastern part of the state, and the Verde Valley region in the central part of the state. 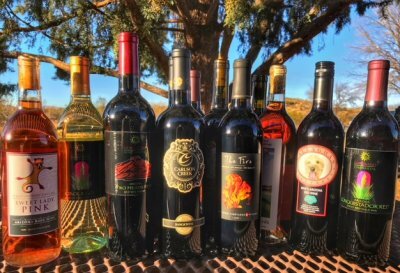 Our favorite wineries from these areas include: Javelina Leap Vineyard, Merkin Vineyards, Burning Tree Cellars, Carlson Creek Vineyards, Cabal Cellars, Sonoita Vineyards, Callaghan Vineyards, Coronado Vineyards, Keeling Schaefer Vineyards, Chateau Tumbleweed Winery, and Passion Cellars. Be prepared to taste new and exciting varieties and flavors. Arizona wines are like nothing we have ever had. For example, the Zinfandels down here are nothing like California Zinfandels — and yet we enjoy them both. Finally, we have to give a shout out to a passionate friend we met along the way. If you are interested in delving deeply into wines, check out Cody’s blog: The Wine Monk. Stay tuned for the last of our Arizona travels. 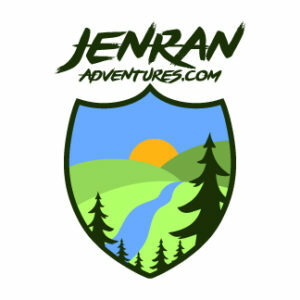 Previous Post:Stop 6: A Grand (Canyon) Adventure!